Overview: One of the latest games launched by RTG, Green Light promises to be fun right from the start. For race car enthusiasts, Green Light is a thrill unmatched. As soon as the Green Light is on, you can feel the engines roaring and can almost smell burnt rubber on the tarmac. If you do not like to miss the grand prix, you wouldn't want to miss this slots game too. 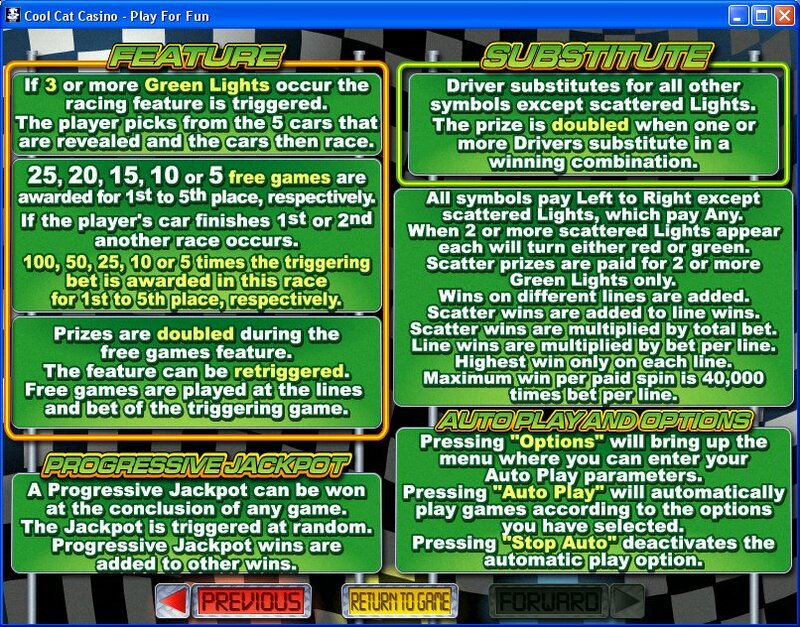 Packed with action and energy, Green Light online casino slots are a fun way to race you to some good amount of money! 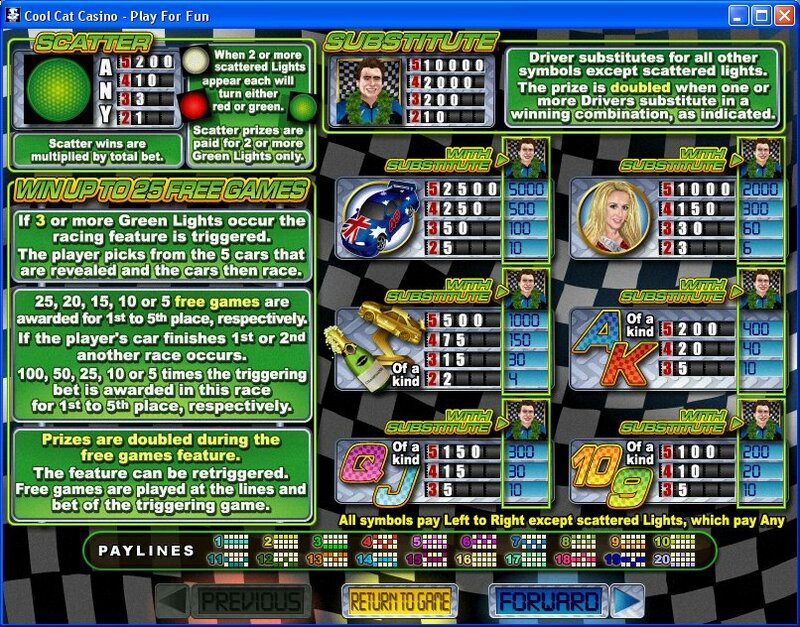 Green Light is a 5 reel, 20 line slot and offers players a wide range of bets from one cent to a hundred dollars there's a comfortable level for everyone. Keep your eye out for the wild card which is the driver and the scatter is the green light. Want to pick up some extra speed? Use the "Autoplay" function to play through multiple rounds quickly. Race Your Way to a Bigger Bankroll in this entertaining game. Similar Slots: If you like Green Light, you might like these other slot machines from RTG: Boy King's Treasure, London Inspector, Naughty or Nice: Spring Break, Ocean Dreams, Return of the Rudolph, Wild Wizards.